not time yet for the wardrobe, as we know it nowadays, to take its place in the bedroom; but chests of drawers began to extend their sphere of influence by assuming greater dimensions; and the linen press arrived to stay. 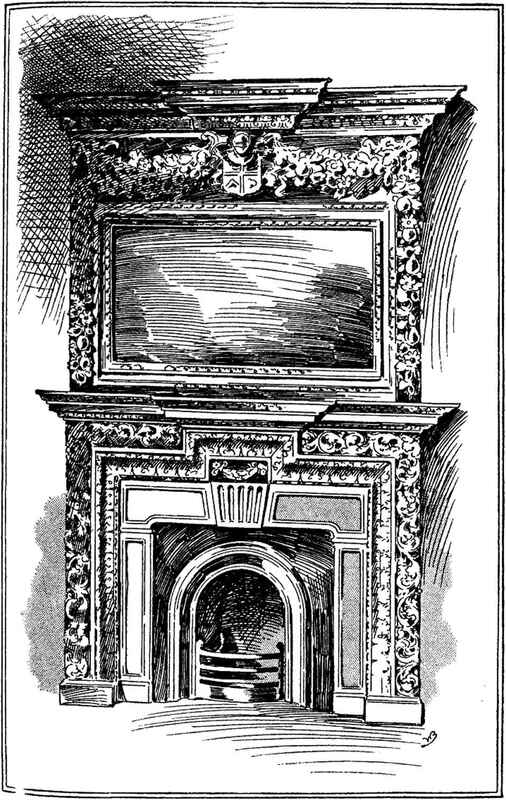 The comparative merits of the shelf or drawer, and the " hanging cupboard/' for the safe keeping of garments, may be gone into in connection with another matter; and I need simply say here that for that purpose the belles and beaux of the first half of the eighteenth century had to content themselves with such receptacles as the one illustrated in Fig. 5, Plate HI. Whatever these lacked in the way of convenience, they certainly atoned for by elegance of line. From types such as these came the " High Boy " (from the French " Haut Bois "), or "Tall Boy/' as it is more generally styled, which has yet to be brought under review, and will receive attention when we arrive at the work of Chippendale. Furthermore, these were the early days of the cabinet as a distinct article of furniture for the display and protection of valuable knick-knacks and objets d'art et vertu generally, some "small beginnings" of which we find in Fig. 2, Plate IIL, and in Fig. 4, Plate IV. 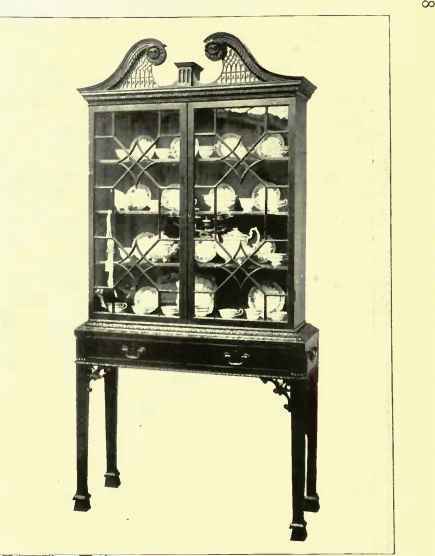 The former may have been used in the drawing-room for the purpose already specified, or in the dining-room as a successor to the old u bread-and-cheese cupboard"—the sideboard had not been invented at the time of which I am writing. The woods employed in the manufacture of the earlier "Queen-Anne" furniture in this country were chiefly oak, walnut, chestnut, beech, lime, and others of the softer species; but after 1742, when mahogany was first used here in the making of furniture, that wood was freely requisitioned. We sometimes find, also, inlay of satinwood and "canary," as in Fig. 5, Plate IIL, and Fig. 1, Plate IV.